Toronto's Condo Market - Bubble or Balanced? Have Stricter Mortgage Lending Rules Affected Our Toronto Real Estate Market? Ever since the federal government reduced the maximum amortization on insured mortgages in Canada back in July 2012 we have seen a 17% decline in sales. For home buyers it’s been tough to make sense of what’s really happening in the market because different segments of the market (price range, location, housing type) have been behaving quite differently. To make things even worse, home buyers have to find some way of separating fact from fiction in the daily news stories they read about Toronto’s housing market. One news story this week titled “Is Canada’s condo boom coming apart at the seams?” stood out for being very misleading and clearly there to alarm rather than educate readers. In March, active condo listings for sale on the MLS rose 8 per cent over last year to hit a record high for the month. At the same time, condo sales slumped 18 per cent. Compounding this growing supply-demand imbalance is the 55,000 new condo units currently under construction in the city, the majority of which are set to hit the market through the rest of the year and into 2014. First of all, suggesting that 55,000 condo units are going to be completed over the next 20 months is nothing more than a bubble theorist’s wishful thinking. Yes, industry data does show that nearly 55,000 condos are scheduled for completion by 2014 and only 5,000 units in 2015 and a mere 1,000 units in 2016. But we all know that a condominium’s scheduled completion date is very different from their actual completion date. I have three clients who just took possession of a condo this month that was scheduled to be completed in 2011. Many of the projects scheduled for completion in 2014 are no doubt going to be delayed and their closings will be pushed out to 2015 and even 2016. The other problem with suggesting that 55,000 condos are going to be completed in 20 months is that it is inconsistent with the historical volume of completions we’ve seen in the condo market. Over the past decade completions in the condominium market have run between 10,000 – 16,000 annually. Most people inside the condominium business seem to agree that Toronto does not have the resources to complete much more than 15,000 units per year. But what about the growing supply-demand imbalance the writer highlighted? On the surface, hearing that condo sales are down 18% (they were actually down 20% in March) while the number of condos available for sale is up 8% might seem a bit alarming but if we dig a bit deeper we see a different story emerge. If inventory is increasing it’s important to understand if this is driven purely by a drop in demand or is it being driven by a glut of new listings coming on the market. In the case of the March the number of new condo listings coming on the market last month actually dropped by 1.4%. This tells us that the increase in inventory last month has nothing to do with a flood of new condos coming on the market but is being driven by a decline in demand. Put another way, the 20% decline in condo sales in March 2013 meant that roughly 450 fewer people bought condos compared to the same month last year. As a result there were 450 more condos on the market at the end of the month which resulted in an 8% increase in inventory. This is hardly alarming. Similarly, if demand suddenly spiked next month we would expect that to cause inventory to fall. These kind of short term shifts between supply and demand are perfectly normal and are not a sign of an underlying supply-demand imbalance. We always keep a close eye on the real estate market here at Realosophy but ever since the mortgage rules were changed in July 2012 we have been keeping an extra close eye on the market to help our clients make better decisions. In July 2012 the federal government reduced the maximum amortization on insured mortgages from 30 years to 25 years making it harder for first time buyers to get into the market. Since the new mortgage rules were introduced in July we have seen a significant decline in demand from first time buyers in both the condo market and the freehold market. It’s important to remember that first time buyers are the segment most impacted by these changes because they are traditionally the buyers who are most dependent on CHMC insurance to buy a home. Given that the majority of condo buyers are first time buyers, we are not surprised to see condo sales dropping at a faster rate than house sales over the past eight months. We were encouraged to see the volume of new condo listings coming on the market over the past eight months actually drop by just over 2% when compared to the same months last year. During our most recent review of the condo market we did not find a market coming apart at the seams. We found a condo market that has held up very well despite suffering a bit of a blow over the past eight months because of a mortgage rule change that is effectively a tax on condo ownership. Demand has remained strong and supply has not surged as many condo owners have opted to lease their condos rather than list them for sale. Condo leases were up 9% during the same period. It’s definitely tough to separate fact from fiction when reading about Toronto’s real estate market. But I’m confident that anyone who invests the time to take a close look at Toronto’s condo market right now would leave that exercise feeling encouraged, not alarmed. **To help home buyers separate fact from fiction in Toronto’s housing market, Kathy Horvat provides assistance in helping you find the right solution. Our professional expertise guides and accommodates all of your needs. Greater Toronto REALTORS reported 3,830 condominium apartment sales through the TorontoMLS system during the fourth quarter of 2012. This number represented a decline of 23 per cent compared to 5,005 sales during the same time period in 2011. 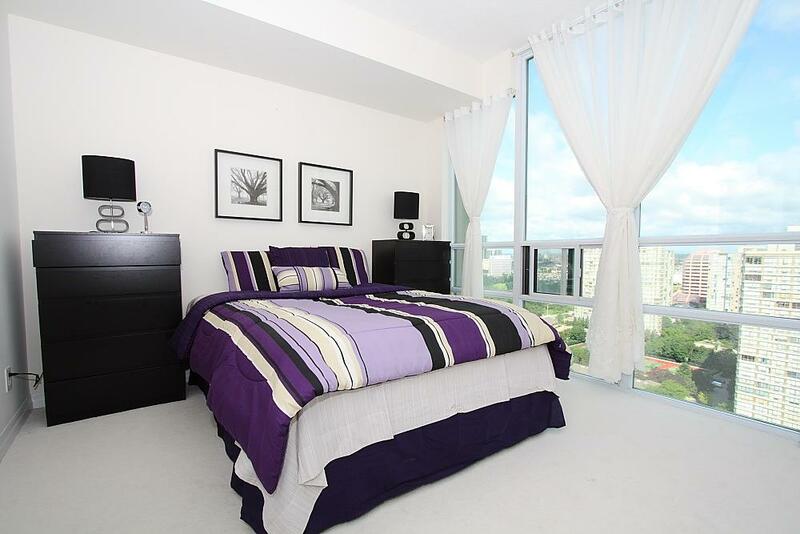 “The condominium apartment market was the best supplied market segment in 2012. Strong condo apartment completions in 2011 and the first few months of 2012 resulted in a substantial number of new listings on the TorontoMLS system last year. With more units for buyers to choose from, the annual rate of price growth moderated,” said Toronto Real Estate Board (TREB) President Ann Hannah. Where you go to school can have a big impact on the quality of education you receive, a new report on the province’s elementary schools finds. The Fraser Institute Elementary School Report Card for 2013 suggests that provincial test results vary widely by school, even when external factors such as family income and the gender ratio of students is taken into account. The report, which was released Sunday morning, ranked 2,714 public, Catholic and francophone elementary schools on the basis of provincial test scores in reading, writing and math in Grades 3 and 6. Download your copy here. The report found that in some schools more than 70 per cent of students tested below the provincial average while at the top schools less than five per cent did. The number one ranked school was Hillmount Public School near McNicoll Avenue and Don Mills Road, where just 0.8 per cent of students tested below the provincial average. Schools within the Toronto District School Board were given an average grade of 6.4 out of 10 in the rankings while schools within the York Region District School Board recieved an average grade of 7.2, which put that school board amongst the highest scoring boards in the province. Schools in Durham, Peel and Halton regions scored an average of 5.8, 6.3 and 6.8 respectively. On average 28.4 per cent of provincial test results studied for the purpose of the rankings were below the provincial average, suggesting that Ontario schools still have a ways to go. The report urged those schools with low or deteriorating test results to use the data as an "opportunity for improvement,” but at least one school board official says the data doesn’t paint a full picture and is of limited use to schools and parents alike. “To rank the schools in this way gives a false image of our education system. It tends to encourage parents to withdraw their kids from schools that are low and try to enroll them in schools that are high and it can skew the results,” Toronto District School Board Trustee Howard Kaplan told CP24 Sunday morning. The Fraser Institute report is based on data from the Education Quality and Accountability Office tests given to students across the province each year. Speaking with CP24, Kaplan said the data was not intended to be used to rank schools. “The standardized testing was never meant to be used to rank schools and if you look at it on a school-by-school basis it is not entirely accurate,” he said. “Just a few gifted children in Grade 3 or Grade 6 can skew the results up or a few kids with learning disabilities could skew the results down. In addition to providing an overall ranking of schools, the report also provided a list of the 20 fastest improving schools in the province. That list included six Toronto schools, including number one ranked Stella Maris Catholic School and number two ranked Heron Park Junior Public School. Every buyer seems to be looking for an open kitchen next to a family room. And, in general, they want a space to feel fresh and updated; French doors always do that trick. They’re an easy way to open up a small, dated room. They’ll likely cost around $5,000 to $6,000, or double that if they’re being installed in a brick wall. Buyers have a hard time seeing past aesthetics, and most people’s tastes aren’t universal.You’ll want to emphasize brightness with lots of white. The furniture and finishes should be neutral to appeal to the masses—even if you hate that look. A consultation by an interior designer can range from an hourly rate to a flat fee of up to roughly $2,000, depending on the size of the house and the designer’s experience. The bill can be off-putting, but it will often include things like a customized floor plan, swatches of fabric, paint chips and a storyboard. You get the full sense of what the room is going to look like, and what will and will not have an impact. It’s a complete vision. Make sure when you’re hiring someone that you feel in sync with their style. After you have a frank discussion about the budget and put together your wish list, pass over your trust and let the designer come up with a plan. Set up an appointment with Sutton Home Staging - Staging on a budget . The consultation is Free, and they will be able to fill your vacant property to give it that "cozy lived in feel". It's easier for potential buyers to see themselves living in your home if they can visualize where the furniture is set, and how to best utilize the space. A quick and easy fix is to paint kitchen cabinets white. Moving? We have an excellent Team to Help -- Stages and Master Renovators that can work with Your Budget! Forget about a looming housing crash—it’s not going to happen. But Canada’s real estate market is changing, and both buyers and sellers will need to adapt if they want to thrive. Let’s be clear: despite what some in the media would have you believe, Canada’s housing market is not at the edge of a cliff, ready to plunge into free fall. “There are articles saying we’re going to have the same kind of crash we had in the United States, but that’s not going to happen,” says Jane Londerville, a real estate and housing adviser at the University of Guelph. Like many Canadians, you’re probably wondering what all this means if you’re looking to enter the housing market, sell your home, trade up to a bigger residence, or downsize to a condo. We will help you navigate all of these scenarios and show you how to profit from the changing nature of Canada’s housing market. Sonya Gulati, a senior economist with Toronto-Dominion Bank, says we could see a slow 10% decline in house prices in Toronto, Vancouver and Montreal by the end of 2014. “We think those cities are the ones most overvalued.” As of September, year-over-year housing prices were already down 3.8% in the Greater Vancouver Area, according to Gulati. Toronto is now starting the same downward trajectory, she says, despite roughly an 8% increase in sales over the same period. Montreal is following the same pattern, too. The biggest advantage Canada’s changing housing market will offer first-time buyers is the luxury of time. “In places like Toronto you might have a bit more breathing room to look at a place and think about it for 24 hours without having to shove an offer in with six other people and hope you win,” says Jane Londerville. “So it gives you a little time to do some careful thinking.” Even in her town of Guelph, Ont., bids can be aggressive for downtown properties, so buyers in smaller centers can expect to benefit from less competition, too. The Toronto real estate market is one of the most popular in all of North America. Whether investing in a new downtown condo, commercial real estate or a family home, the Toronto real estate market has opportunities at all levels. If you decide to purchase real estate in Toronto rest assured that you will be living in a city with great amenities, services, facilities and entertainment. Toronto’s real estate market and availability is ultimately based on demographics: there has been an influx of over a million new people to the Greater Toronto Area over the last decade and there is still a massive shortfall of housing to meet the demand of these new residents. Furthermore, the sub prime market crisis in the United States has many home buyers wondering what the affect will be on housing markets in Canada, opening the door to uncertainty and speculation on the Canadian market. The good news for Canadians is that the housing market has been setting records for volume and units sold for five consecutive years now despite the problems coming to light in the US. “The statistics show just how dynamic the Canadian housing market was in 2007 in virtually all parts of the country,” said Ann Bosley, president of CREA. Historical analysis of the Toronto market in particular shows that real estate for the city, despite occasional dips, continues to do well. Take the Toronto real estate luxury market as an example with house sales in the million dollars plus range across the Greater Toronto Area (GTA) increasing by more than 20% in 2007 over the 2006 figures. A thriving Canadian economy has many suburban dwellers leaving the burbs behind to move back into the cities. If you fall into this category, when searching for Toronto homes or condos for sale, you will need to collect information about the different areas of the downtown core to determine if you are looking in a “buyer’s market” or a “seller’s market”. Market competition in Toronto is high which helps to ensure that the pricing cannot be easily raised artificially ensuring that investors are not speculators. Not only is the Toronto housing market doing well, but newly constructed Toronto condos are also in very high demand. With each passing year, Toronto condos are becoming a bigger part of total Toronto real estate market. Exciting new homes and condos are being constructed in areas like Eglinton / Yonge and King St. / Bathurst that offer residents access to the excitement of downtown Toronto while still being in a calm, clean and safe area. The most popular areas to invest are projects along the subway, close to downtown and at key intersections along the Yonge – Bloor corridors. The Toronto condo market is an excellent alternative to home ownership particularly if you are a first time property buyer or looking to downsize your current investment. The ever increasing cost of a home in todays Toronto real estate market is making it very hard for a large percentage of the population to become home owners. Condos also represent sound Toronto real estate rental investments allowing would be owners to increase the value of their equity. Most home buyers want to get good value for their money while at the same time getting a property that is in an area geographically that they are comfortable with. If and when you do decide to invest in the Toronto real estate market make sure to secure the services of a professional real estate lawyer. In any real estate transaction a real estate lawyer will handle; the deed, the bill of sale, mortgage arrangements, promissory note, title commitment and the closing statements on your behalf. Getting a good interest rate on your mortgage is also crucial to being able to afford your investment and avoiding foreclosure. There are many stories in the news recently about small towns in the United States that are full of new homeowners that are not able to afford the mortgages for their new homes and are losing money in their investment due to the sub prime crisis. While this situation may be an unhappy one for the people involved, buying in an urban market such as Toronto can help to mitigate problems by offering increased investment flexibility. Whether you would like to purchase a new family home, commercial real estate for your business or a luxury condo, Toronto can provide you with numerous options to choose from.